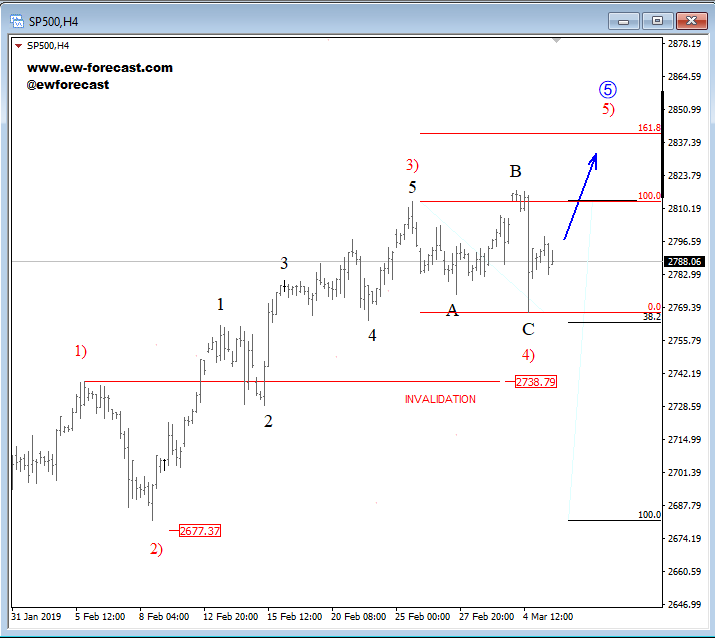 S&P500 is currently recovering, ideally unfolding wave 5 as part of a bigger, bullish cycle. Wave 5 is also an impulse, that must unfold five minor waves, and can in our case look for resistance and a bearish reversal near the Fibonacci ratio of 38.2 and 261.8. A drop from the highs, and below the lower Elliott wave channel line would suggest a top in place, and a minimum three-wave pullback in play with possible support around the 2677 level.